I am absolutely loving the post-launch support Defiant Development is providing for their popular choose-your-own-adventure/action RPG sequel, Hand of Fate 2: Outlands and Outsiders back in June, modding contest just last month, and now… another mini expansion already, in The Servant and the Beast! Rather impressive additions this time around too. In the depths of despair, you struck a bargain with a strange new ally: your blood for freedom. A tale of revenge awaits within The Servant and the Beast, albeit one in which you, the player, helps someone else achieve it, rather than, well, fighting for yourself. Then again, in a way you are actually doing this for personal gain – namely, freedom. The reclaiming of a throne and sweet revenge against wrongdoers are on the menu here, alongside a new campaign challenge, companion, companion quests, more utility encounters and even a bunch of equipment to unlock. Hand of Fate 2 – The Servant and the Beast is available on Steam, GOG.com, PlayStation 4 and Xbox One, carrying a $6.99 price tag. Switch version? Soon! 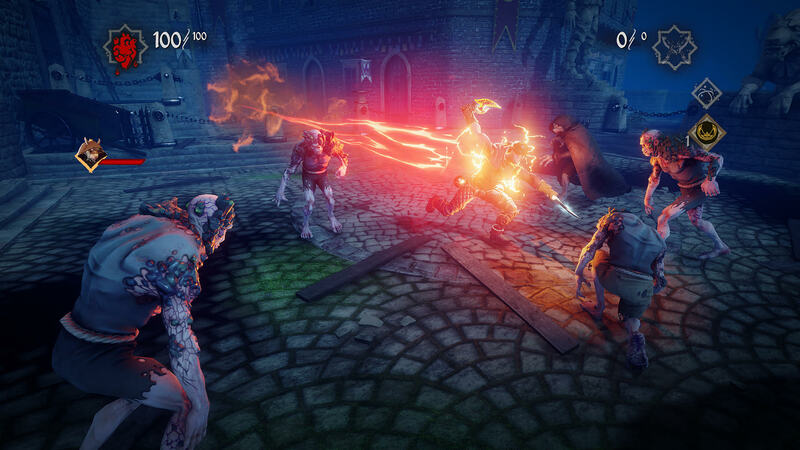 Hand of Fate 2: The Servant and the Beast DLC – Out now!